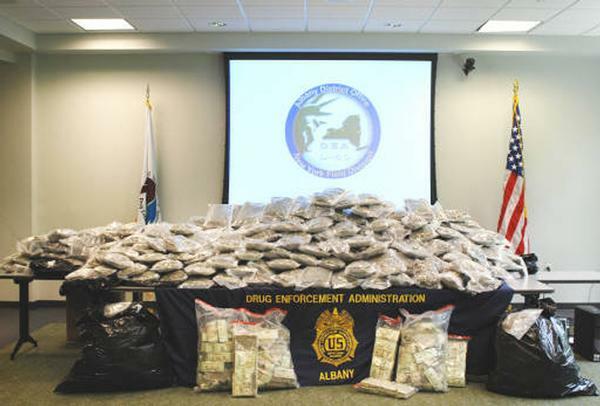 ​The total amount of marijuana seized by the Drug Enforcement Administration (DEA) nearly doubled from 2008 to 2009, according to numbers disclosed by the agency as part of their budget request for 2011. Meanwhile the cultivation of cannabis in Mexico rose 35 percent in 2009, to nearly 30,000 acres, according to a report released by the U.S. State Department. Marijuana seizures by the DEA went from 1,539 metric tons in 2008 to 2,980 metric tons in 2009. The report estimated that between $8 and $25 billion in drug profits were laundered by Mexican drug lords during the same period. ​”When is the United States government going to realize that they will never eliminate the demand for marijuana, but they can regulate its production?” asked Aaron Houston, director of government relations at the Marijuana Policy Project. The latest figures come just days after high-ranking officials from the U.S. and Mexico concluded a three-day conference intended to outline ways the two nations could reduce the illicit drug-trade-associated violence that continues to plague the U.S.-Mexican border. Unfortunately, the obvious and sensible strategy of taxing and regulating marijuana was never mentioned. The Obama Administration instead opted to throw more money at the problem in the form of a $1.4 billion aid package to combat Mexican drug cartels. The administration is also seeking $310 million in its 2011 budget for drug enforcement aid to Mexico.